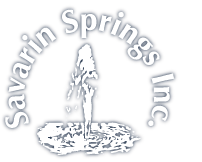 Wholesale and Co-Packing Kitchener | Services | Savarin Springs Inc.
We offer complete co-packing services of our 18L spring, distilled and reverse osmosis water. If you re-sell and deliver your own bottled water, why not let us fill your 18L bottles for you? Your customers will appreciate our high quality water, daily lab tests and dedication to customer satisfaction. If you are a smaller company, we will provide you with our bottles to sell to your customers. If you operate a store, we provide high quality bottled water at competitive, wholesale prices. For more information about our wholesale and co-packing services, please contact us.